Welcome to the YA Scavenger Hunt! This bi-annual event was first organized by author Colleen Houck as a way to give readers a chance to gain access to exclusive bonus material from their favorite authors, and a chance to win some awesome prizes! On this hunt, you not only get access to exclusive content from each author, you also get a clue for the hunt. Add up the clues, and you can enter for our prize–one lucky winner will receive one book from each author on the hunt in my team! But play quickly because this contest (and all of the exclusive bonus material) will only be online for 120 hours! Go to the YA Scavenger Hunt page to find out all about the hunt. There are SIX contests going on simultaneously, and you can enter one or all! I am part of the GREEN TEAM. I am representing the anthology LIFE INSIDE MY MIND: 31 AUTHORS SHARE THEIR PERSONAL STRUGGLES, edited by Jessica Burkhart and featuring essays by Francisco X. Stork, Sara Zarr, Ellen Hopkins, and Maureen Johnson, among others. Go tothe YA Scavenger Hunt page if you’d like to find out more about the hunt, see links to all the authors participating, and see the full the list of prizes up for grabs! DIRECTIONS: Below, you’ll notice that I’ve listed my favorite number. Collect the favorite numbers of all the authors on the GREEN TEAM, and then add them up. ENTRY FORM: Once you’ve added up all the numbers, make sure to fill out the form here to officially qualify for the grand prize. Only entries that have the correct number will qualify. RULES: Open internationally. Anyone below the age of 18 should have a parent of guardian’s premission to enter. To be eligible fot the grand prize, you must submit the completed entry form by APRIL 8 at noon Pacific Time. Entries sent without the correct number or without contact information will not be considered. Now, I’m excited to share with you the person I am hosting on my site…. 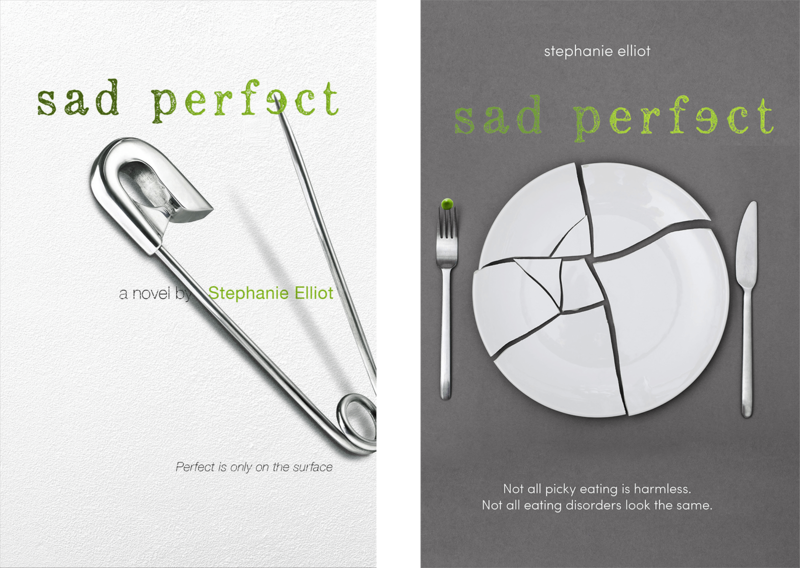 Stephanie Elliot is the author of the young adult novel Sad Perfect (Margaret Ferguson Books/FSG, Winter, 2017), which was inspired by her own daughter’s journey with ARFID, Avoidant/Restrictive Food Intake Disorder. She has written for a variety of websites and magazines and has been a passionate advocate of other authors by promoting their books on the Internet for years. 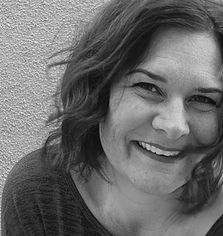 She has been, or still is, all of the following: a book reviewer, an anonymous parenting columnist, a mommy blogger, an editor, a professional napper, a reformed Diet Coke drinker, a gecko breeder and the author of three self-published novels. A Florida native, Stephanie has lived near Chicago and Philadelphia and currently calls Scottsdale, Arizona home. She graduated from Northern Illinois University, where she received her Bachelor of Arts in Journalism. Stephanie and her husband Scott have three children: AJ, McKaelen and Luke. They are all her favorites. Not all picky eating is harmless. Not all eating disorders look the same. Told in second person, Sad Perfect is the story of a 16-year-old girl with ARFID, Avoidant/Restrictive Food Intake Disorder, a unique eating disorder. This is a heartbreaking, visceral perspective on disease, love, and recovery. Sixteen-year-old Pea knows there has always been something wrong with the way she eats–textures, smells, and even the sight of some foods are frightening. When she’s finally diagnosed with a little-known eating disorder called Avoidant/Restrictive Food Intake Disorder (ARFID), her “picky eating” starts to make sense. Pea has always felt alienated, anxious, and depressed, and with her diagnosis, she is hopeful that she’ll get the treatment she needs to get better. Thanks to therapy, her loving yet dysfunctional family, and the support of her sweet and caring new boyfriend, Ben, Pea finally feels like she’s in control for the first time in her life. But when she decides to go off her antidepressants, things start to spiral out of control. It will take inner strength and the support from her loved ones to get the help she needs to begin to challenge her eating disorder. And, now for the bonus material!